This month we will be continuing our successful series of business lunches. 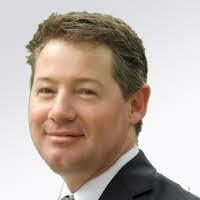 This month's lunch will be with Anthony Weymouth, Senior Trade Commissioner - Central Europe. Anthony will cover some of the latest developments with Australia's negotiations for a Free Trade Agreement with Europe. He will also be open to questions about Australia's trading relationship with CZ, Brexit and other related topics. Anthony is a very pleasant person so this promises to be a very enjoyable and informative lunch. The lunch will be held in the restaurant of the Grand Hotel Bohemia at Králodvorská 652/4, 110 00 Staré Město from 12.30. There is no registration fee for the lunch, but we will ask you to settle the cost of your lunch directly with the restaurant (The drinks are on us). This will be a very intimate event with only around 10 attendees. As well as Anthony's presentation, the event offers a great opportunity for networking and for some personal question and answer time in an informal setting. It also means that places are strictly limited.